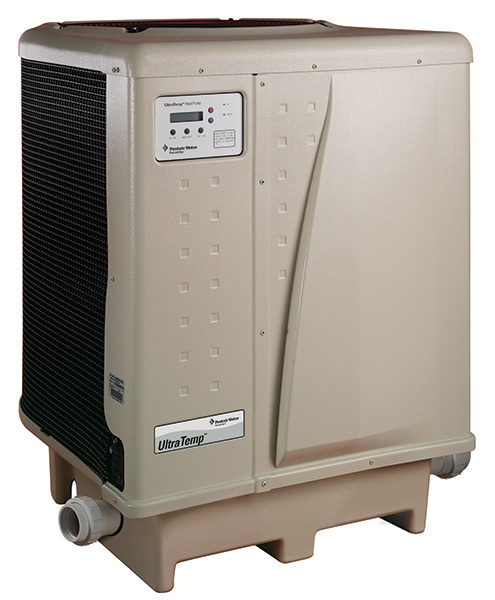 Pentair UltraTemp Heat Pumps - High Performance Heat Pump. 100% pure titanium heat exchanger assures corrosion-free performance for extra long life. New LCD control board displays an intuitive menu-driven read out with easy to follow full word messages - no more codes. Autoset (Time Clock Over-Ride) feature monitors water temperature and turns the water circulation pump on and off as needed to maintain desired pool temperatures. Thermostatic Expansion Valve (TXV) controls refrigerant for optimum efficiency and BTU output over a wider operating range.